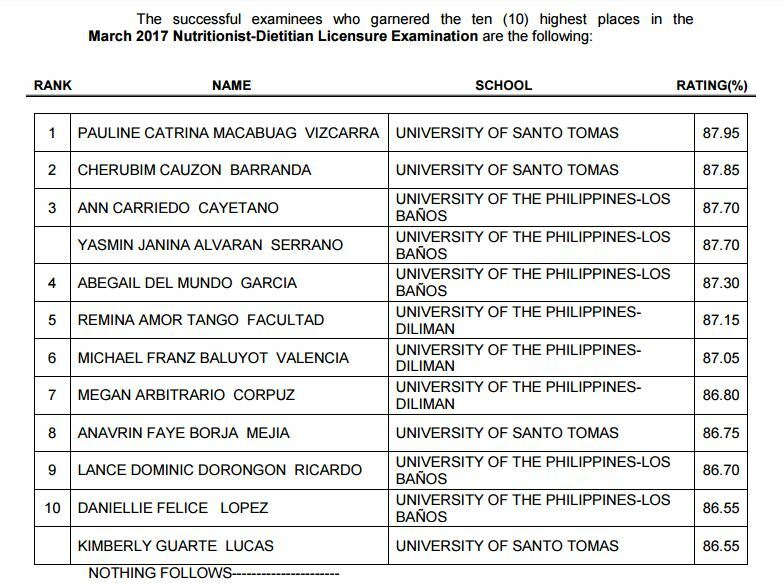 The Professional Regulation Commission (PRC) and the Board of Nutrition and Dietetics released the top 10 passers list (topnotchers) for March 2017 Nutritionist Dietitian board exam on Monday, March 20. Pauline Catrina Macabuag Vizcarra from University of Santo Tomas (UST) topped the board with 87.95% grade. It was followed by another UST graduate Cherubim Cuazon Barranda, 87.85%. 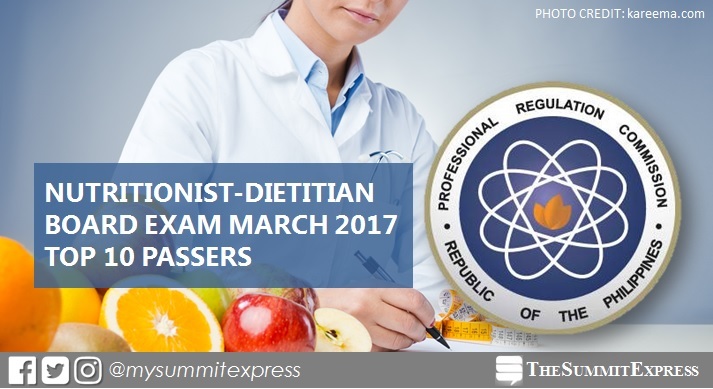 PRC administered the reset of 2016 Nutritionist Dietitian board exam on March 15 and 16 in the cities of Manila, Baguio, Cebu, Davao and Zamboanga. In August 2015 exam, a University of the Philippines Los Baños (UPLB) graduate aced the board with 84.75%. In July 2014, UP-Diliman alumnus led the passers with 86.35%.